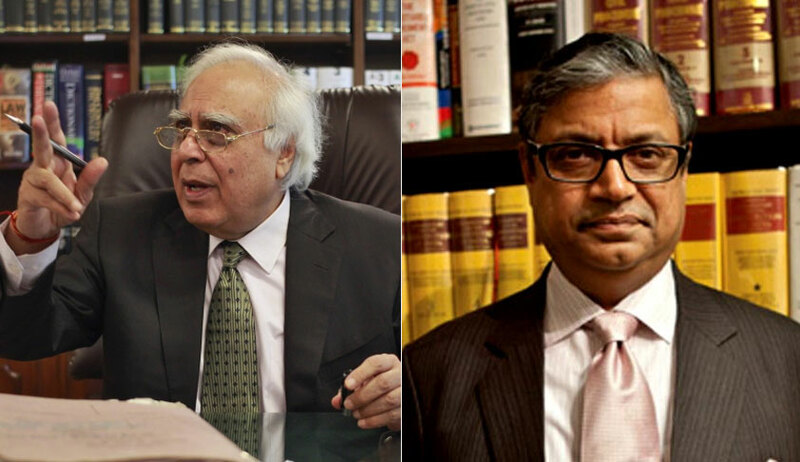 As the hearing in the string of writ petitions challenging the constitutionality of the Aadhaar (Targeted Deliveries of Financial and Other Subsidies, Benefits and Services) Act of 2016 resumed post the lunch hour on Tuesday, Senior Counsel Kapil Sibal continued his submissions regarding the abrogation of the right of citizens to entitlements by the mandatory linkage thereof with the Aadhaar number. He referred to Article 5 of the Constitution in the same behalf. Relying on section 14A of The Citizenship Act of 1955, which empowers the Central government to mandatorily register all Indian citizens and to issue identity cards to them, he advanced that though identity may be linked to status, the primary identity of every individual shall be of an Indian citizen and not a Aadhaar card holder. Citing the judgment in Re Kerala Education Bill (1958), Mr. Sibal sought to submit that where any essential benefit is conditioned on the surrender of a right by an individual, such condition is deemed unconstitutional. “Such a condition that forecloses one from availing a benefit to which they are entitled on the basis of an unreasonable classification is void”, he remarked. “The Aadhaar Act itself admits various ID proofs for the purpose of issuing an Aadhaar card to an individual. The purpose of the scheme is only to authenticate identity and not to grant an identity to those who lack it”, he continued. He referred to the notifications mandating Aadhaar for the welfare schemes for bonded labourers and child labourers. In the same context, he cited the judgment in Minerva Mills (1980) wherein it was observed that “One of the faiths of our founding fathers was the purity of means. The goals set out in Part IV have, therefore, to be achieved without the abrogation of the means provided for by Part III”. Referring to the report of the Justice Wadhwa Committee, appointed by the apex court in PUCL v. UOI to look into the maladies affecting the proper functioning of the Public Distribution System (PDS), he submitted that Aadhaar could not block the leakages in social security schemes and other benefits. “So even if Aadhaar is successfully curbing one head of fraud, its supposed inability to tackle fraudulent practices under other heads cannot be a ground for its unconstitutionality. With other ID proofs, there is the concern regarding possession of multiple passports etc by the same individual. The Aadhaar scheme has probably been introduced to ameliorate like issues”, remarked Justice A. K. Sikri. “There are people who even possess multiple Aadhaar numbers. So the correct way to tackle the concern regarding multiple identities would be to bring these individuals to law, instead of requiring all residents to obtain an Aadhaar card”, responded Mr. Sibal. However, the judge and the Senior Counsel both concurred on the argument of disproportionately of the Aadhaar scheme. "This is the most important case since independence. This is more important than ADM Jabalpur case. This assumes even more significance than the ADM Jabalpur matter in view of the all-encompassing character of the Aadhaar project. ADM Jabalpur was a case related to emergency only. It was for a limited period of time. The issues in this case are relevant for an unlimited period. The decision in this case is going to decide the future of the country. This will decide whether an individual is entitled to Free choice in India"
Thereafter, Senior Counsel Gopal Subramanium commenced his arguments. Referring to the judgment in Justice K. S. Puttaswamy upholding the right to privacy as a Fundamental Right, he advanced, “The right to privacy, at the grass root level, pertains to dignity. And dignity requires that the marginalised sections of the society are not revealed as such”. “That one asserts their status is a prerequisite for social mobilisation”, remarked Justice Chandrachud. Agreeing, Mr. Subramanium responded, “But Aadhaar cannot be permitted to interfere with status”. “With the mandate of repeated authentications at its heart, the Aadhaar project accords priority to the electronic individual over and above the real individual”, he remarked. He Reiterated that the aggregation of sensitive data regarding all citizens at one place is a very risky proposition. He submitted, “In addition to perpetrating exclusion, the Aadhaar Act envisages data as property; as a means of earning money”. “The Constitution contemplates specific situations where the Fundamental Rights maybe curtailed. Beyond that, it seeks to restrain the encroachment by the State”, he continued. “The Constitution in its Part IX provides for decentralisation (to Panchayats), while the Aadhaar scheme brings about disintermediation”, submitted Mr. Subramanium.